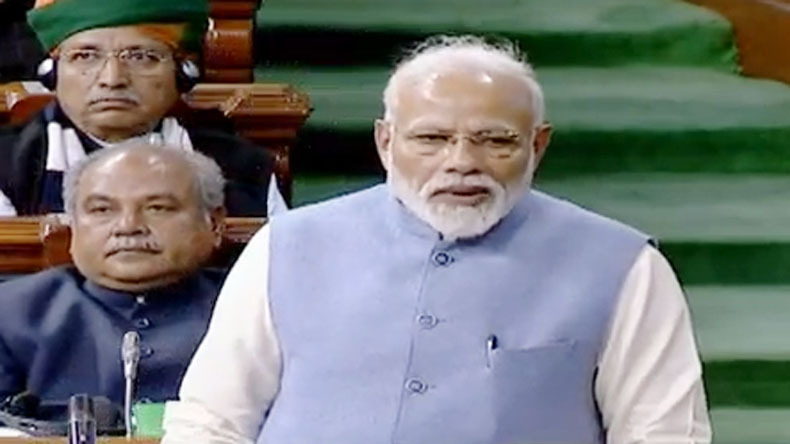 PM Narendra Modi in Lok Sabha: Samajwadi Party leader Mulayam Singh Yadav congratulated Prime Minister Narendra Modi for his effort to unite all the political parties of the country. He wished Modi will emerge victorious in the upcoming 2019 Lok Sabha Elections. PM Narendra Modi in Lok Sabha: On the last day of Lok Sabha, Prime Minister Narendra Modi on Wednesday addressed the lower house of Parliament after the House resumed proceedings in the afternoon. Both the Houses of Parliament were adjourned due to Opposition uproar over the tabling of the CAG audit report on the controversial Rafale fighter jet deal. Taking a dig at Congress president Rahul Gandhi, the prime minister said “neither did any plane fly nor did any earthquake happen” during his speech in the House. Earlier, the Congress chief (then Congress vice president) had said that there would be an earthquake if he were allowed to speak on currency ban in Lok Sabha. Samajwadi Party leader Mulayam Singh Yadav congratulated Prime Minister Narendra Modi for his effort to unite all the political parties of the country. He wished Modi will emerge victorious in the upcoming 2019 Lok Sabha Elections in the country (PM ko badhaai dena chahta hun ki PM ne sabko saath lekar chalne ki koshish ki hai. Main kehna chahta hun ki saare sadaysa phir se jeet kar aayen, aur aap (PM) dobara pradhan mantri banein). – India launched the most number of satellites in the last 5 years. The country has now become a launch pad for global satellites. – This House passed the laws to fight the menace of black money and corruption. This House also passed the GST Bill. – The country will be proud of this 16th Lok Sabha, as it saw the highest number of women members elected to the House. At least 44 first time women MPs were elected to the Lok Sabha.